Sakura is the name of the famous Japanese cherry tree, but it’s also the name of one of the newest electric car manufacturers. Surprisingly, Sakura has nothing to do with Japan as its headquarters are based in UK. Before starting to develop its first electric car – the Maranello4 – Sakura has made a name for itself commercializing electric bikes and mopeds. Their most popular models were the Sakura Mustang and Sakura S50, both being powered solely on electricity. The vehicle was in fact developed by the Italians from Effidi Automotive Group, but in UK, it’s marketed by Sakura. Despite the sporty origins of its name, the Maranello4 has nothing to do with race tracks or mind-blowing speeds, as it is merely a city car with compact dimensions and a small motor. Under the hood, the Maranello4 is equipped with a DC electric motor powered by a pack of maintenance free batteries which offer a 45 miles range. The car is also available with a diesel electric hybrid power train which offers a bigger range. The Sakura Maranello4 has a starting price of £9,950 OTR (about $16000) and is offered with a 3 year unlimited mileage warranty. Hit the jump for more information on the Sakura Maranello4. 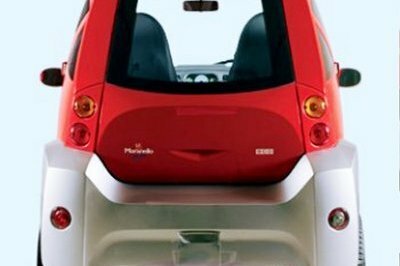 For a tiny city car, the Maranello4 looks pretty sporty moving away from the cute and curvy style which is usually dominant in this class. Thereby, the Maranello4’s designers used a lot of sharp corners and straight lines which merge elegantly to give the vehicle a pretty bold and aggressive appearance. Combine the DNA of a regular Smart ForTwo with a Lamborghini Reventon and you’d probably come up with a similar shape. We’ll have to admit that we like Sakura’s bold design approach. It’s like a big breath of fresh air to see that not anyone who’s involved in the small electric car industry wants to make this segment look completely hilarious. It’s true that the car is still short narrow and tall, three attributes that are the perfect recipe for an unintimidating design. But Sakura managed to disguise the bulky shape in something that looks pretty cool and has the potential to turn a few heads while passing down the street. On the other hand, the overall build quality leaves much to be desired and a closer inspection will reveal that there are a few big panel gaps which could spoil all the fun. The cool exterior design is made even cooler by the suicide doors which are hinged on the trailing edge. 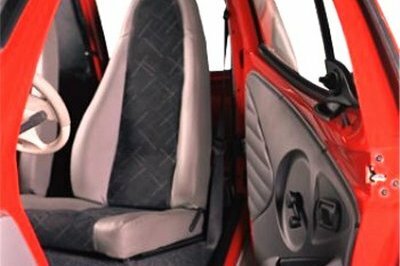 The doors have a fairly wide opening, so you can hop into the cab without looking like a contortionist who struggles to fit inside of a box half his size. As you’ve probably guessed, the cabin offers limited space and can accommodate only two adults. Fortunately you’ll find decent amounts of head and leg room and the dashboard looks almost modern. The entire action takes place around the center stack were you’ll find the majority of controls and also the clean instrument panel. The steering wheel’s design is on the basic side of things, but offers a confident grab and copes well with the rest of the cab. You won’t have any significant complaints about the storage places either, as there are just enough cubbies and consoles to keep you satisfied. As far as build quality goes, is average while most of the plastics are hard and flimsy. At least the seats are clearly better than what you’ll usually find in the class and offer proper back support. While you get comfy behind the steering wheel you’ll also notice that the front road visibility is pretty good as well. Though the A pillars seem to be a bit too thick for our tastes. The Sakura Maranello4 is available in two versions. The first is 100% electric and is powered by a DC motor which is kept alive by a pack of batteries. Unfortunately the Maranello4 is just a sheep that wears a wolf skin, because despite its sporty name and the bold appearance, the vehicle is able to develop a maximum speed of merely 30 mph. The range offered by its batteries is similarly unimpressive being rated at 45 miles. The second version however is slightly more potent. It is fitted with a hybrid diesel-electric powertrain good to deliver a maximum speed of 50 mph and an impressive range of up to 250 miles. 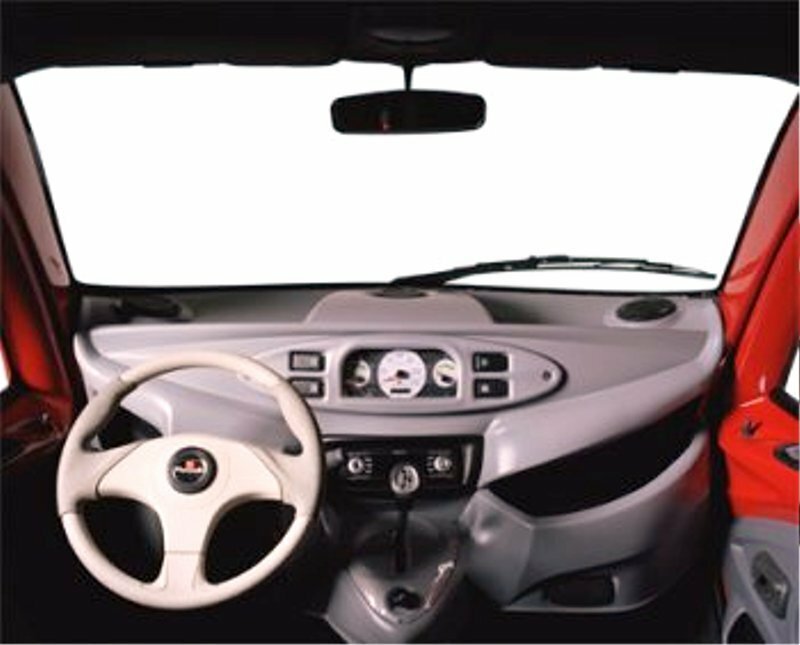 The car is built on a stainless steel chassis and the ride quality is assured by front and rear independent suspensions. 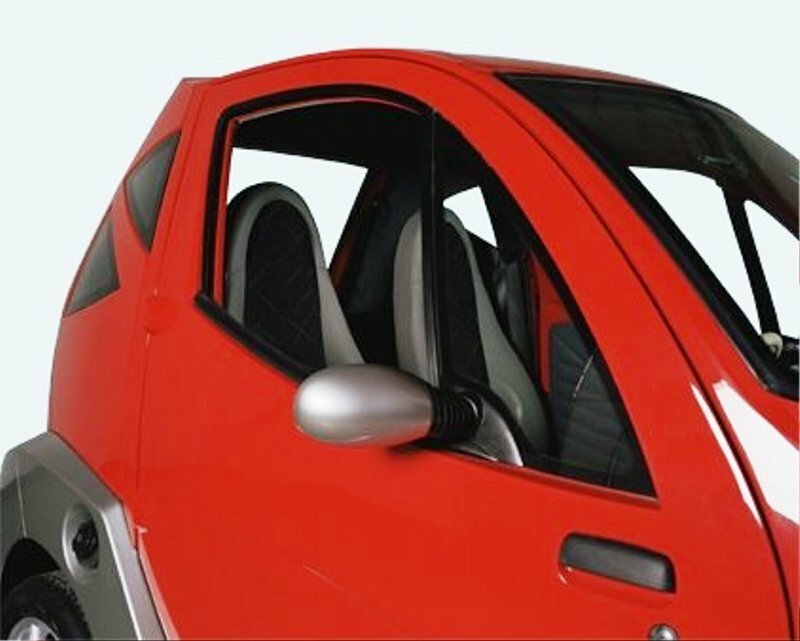 The Sakura Maranello4 brings a new design approach in the segment of electric super-mini cars. And we like it. The cabin is pretty spacious and you’ll find more storage spaces than expected. The seats are also a class above what you’ll usually find at most of the rivals while the ergonomy is generally well sorted. On the other hand, the build quality isn’t exactly faultless and the fully electric drivetrain delivers poor performances. Luckily you can always go for the hybrid version which sounds like a better bet as is faster and has a bigger range.